OMG! 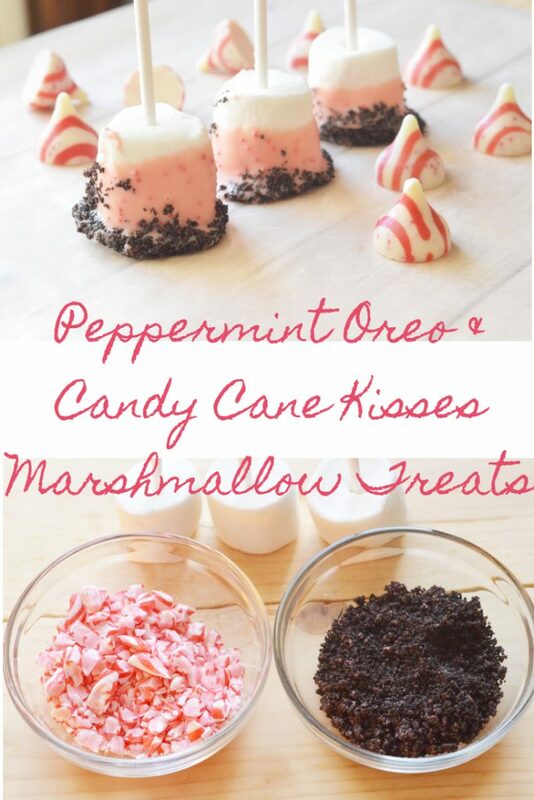 These Peppermint Oreo and Candy Cane Kisses Marshmallow Treats are simply amazing and SO much fun for the kids to help make! Grab the family together for these holiday treats! 1. Begin by unwrapping as many kisses as it takes to fill your small microwaveable dish. 2. Next, place your sucker sticks at the end of as many marshmallows as you need. 3. Place a sheet of wax paper on a large plate or flat pan. Something that will fit in the fridge. melt. Stir the kisses in between each heating session. they became like finer crumbs. Place them in your second dish. about 10 minutes to harden. dunking them in the Oreos.